ExEL Foundation The Excellence in Early Learning Foundation (ExEL) was founded in 2013 to provide tuition assistance for low income families for early learning in the Northern Collier County area. ExEL is a non-sectarian, nonprofit 501(c)(3) foundation. The ExEL Foundation has been a member of the CCCR Business 100 since 2015! Brian Ingvalson, PhD., President and CEO of the ExEL Foundation, Inc.
Interview with Brian Ingvalson, PhD, President and CEO of the ExEL Foundation, Inc.
Why did you join the CCCR Business 100? 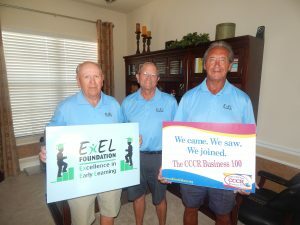 The ExEL Foundation Board of Directors in impressed with what CCCR is doing for the community with all of its operations – especially CCCR’s quality Pre-K education program.. The Foundation is happy to support CCCR annually. How are you impacted or inspired by CCCR’s work? CCCR has impacted Collier County and the ExEL Foundation in numerous ways. We collaborate with several foundations and organizations including CCCR in “Future Ready Collier” seeking to ensure that all 5 yr-olds are Kindergarten Ready and all 17-18 yr-olds are career and/or college ready. What sets you apart in your field? The ExEL Foundation is a Florida 501(c)3 non-profit foundation that has no paid employees and the board is not compensated in any way. 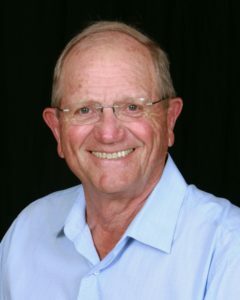 ExEL consists of a worker-bee board and a group of dedicated volunteers. What should the community know about you? ExEL’s mission is to provide community development through quality early learning including financial assistance to underserved and at-risk children within Collier County. Exel provides partial tuition assistance to qualified at-risk children who are enrolled in quality Early Learning Centers (ELCs). Currently, ExEL is providing services to seven (7) ELCs in Collier County, providing this assistance to 40 children in 2017-2018 who are living at or below the poverty line and providing additional financial support to the ELCs we support. By providing this support, children living in poverty can attend a high-quality ELC and will be ready for Kindergarten. Our foundation has been in operation for five years. To date, we have donated over $125,000.00, providing partial tuition assistance to 135 economically disadvantaged children in Collier County. What exciting events or plans do you anticipate for 2018? ExEL will be sponsoring the following events. Please check out our Website exelfoundation.org for more information. A photo from 2015 when the ExEL Foundation joined the CCCR Business 100!